Cheap flights to USA: Las Vegas, Phoenix and Miami for €360! Lufthansa in cooperation with other American airlines now offer really cheap flights to USA including the West Coast! 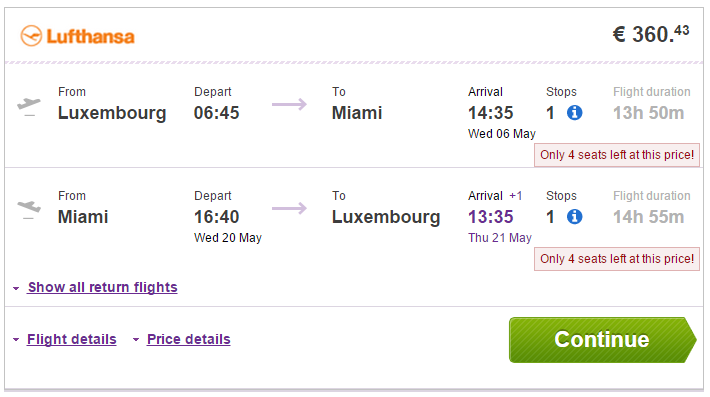 Return flights from Luxembourg to Miami, Phoenix or Las Vegas are available from only €360! Flights to Miami are the cheapest, Phoenix or Las Vegas will cost you only €4 more. This is final price with 23 kg of checkin luggage and meal onboard. Travel dates are until end of October including ummer months which are usually 2x more expensive. You have to book your tickets today or tomorrow to get this price! Book via Vayama for the best price. Las Vegas offers all kinds of accommodation from cheap hostels for budget travellers to super luxurious suites in 5 star hotels. 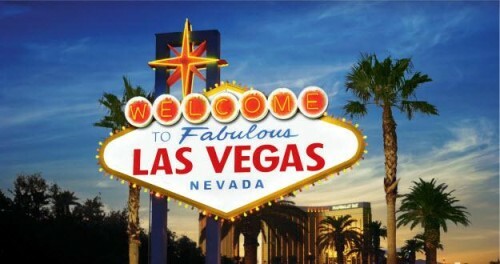 You can get some amazing deals in luxury hotels straight on the strip for good price if you look around a bit! Use our search engine to compare all major booking sites at once and book for the best rates online! « Cheap flights to Dominican Republic in February: Punta Cana for €401!